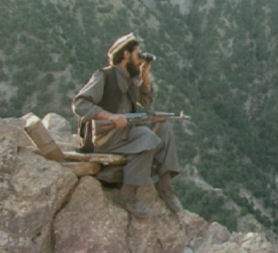 Brilliant piece of filming on Channel 4 new tonight: Living with the Taliban on the Afghan frontline. The incredibly brave, possibly suicidal Norwegian cameraman is one of the only Western journalists to have managed to ’embed’ themselves with the Taliban, and the resulting piece is one of the most insightful pieces of TV about the whole campaign since it began. Because nothing says there’s two sides to every story like closing a piece on the face of a pre-school ‘insurgent’ killed in a special forces attack. It is indeed, the anti-Time. Considered, balanced, impartial and remarkably un-sensational.